Following the announcement of Zanardi Karts founder Dino Chiesa joining forces with CRG in the role of race team management and chassis development it has prompted exciting developments for the Zanardi brand. Zanardi Corse Australia’s David Brewer believes the recent announcement will have significant benefits for the brand both here in Australia and aboard. “This is a great thing for our brand all though on the inside not a great deal changes for us as a business it is exciting to discuss the future plans with the brains behind the CRG products and can’t wait to release them,” says Brewer. Further to this development Brewer has been invited to Europe by Chiesa to further his already vast knowledge of the Zanardi product by going over to Europe to work directly alongside the world’s best drivers and mechanics at selected European events in 2016. I’m very excited, that not only can I go to experience these events but I will get to see firsthand all new the implementations that the factory will be testing. This will be a very good thing for all our Zanardi drivers here in Australia as we will be 100% involved in the evolution of what’s already a fantastic product,” added Brewer. Chiesa is pleased with the progress made in Australia over the past couple of years and excited about the future for the brand in this part of the globe. “We are excited to have a loyal and passionate importer in David Brewer. Not only is his infectious persistence for an edge a push to help us strive for a marketable and competitive product but the relentless effort will not go unnoticed over here,” said Chiesa. Brewer is a strong believer in the fact that the Zanardi Corse Australia team will be vying for wins across the world in 2016. “As all development takes time 2016 is the year of work! We will be still striving for wins worldwide as a brand and rest assured we are going to every event to win! 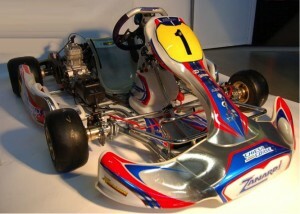 Our successful range of karts is an outstanding option to any level racer,” said Brewer. To stay in touch with all the latest news on Zanardi Corse Australia like their page on Facebook. Dealers are currently being sought throughout Australia.